Ubud is one of the most visited places in Bali, it is where the heart of their culture lies. It’s located in the North part making it far from the beaches but closer to waterfalls and rice fields. 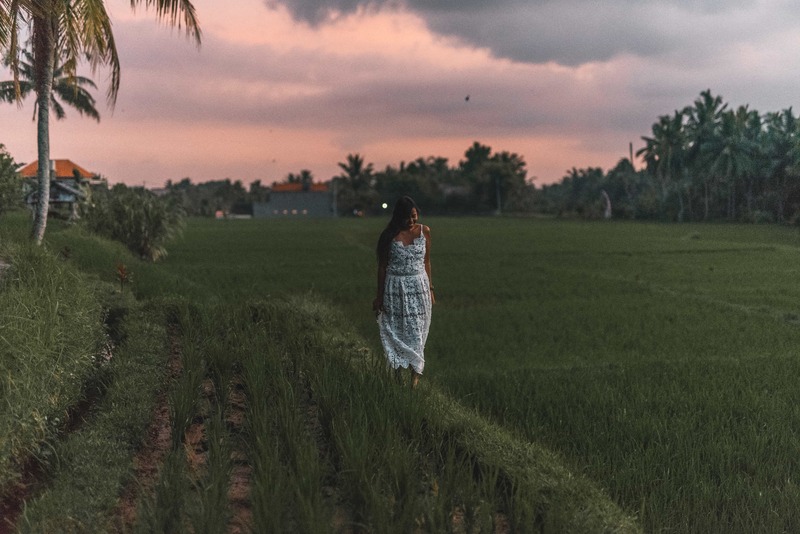 In this blog post, we will tell you our favorite things to do in Ubud. We spent more than a week there during our last days in Bali. 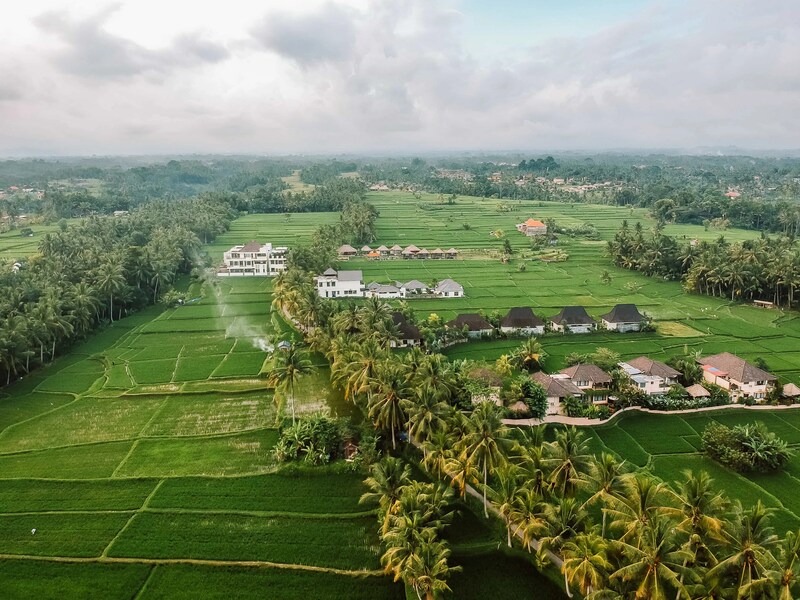 We will mention our favorite 12 things to do in Ubud, the best places to go around, how much your daily budget should be, what activities you can do, where you can sleep, all straight from our experience. Check this website for more palces to visit in Indonesia. Ubud is located 40 kilometers away from Ngurah Rai International Airport. A drive to Ubud will take you 1-2 hours depending on the traffic. Expect one hour if it’s not a busy day and around two hours during the peak hours. If you are coming from Kuta, Seminyak, and Canggu it will also take you 1-2 hours to reach Ubud. You can go to Ubud via taxi but prices are quite expensive. If you are traveling light you can rent a motorbike to get to Ubud. For cheaper options you can get Uber, Grab and Go Jek to move around Bali, prices are more affordable. Then, from Ubud, there are a few bus companies connecting to the airport and tourist spots in Bali. In Ubud, it is very easy to get around. Everything is walking distance for shopping, local market, and restaurants. There are ATM machines and money exchange everywhere in Ubud. Official Rates are $1= 14 000 IND Rupiahs. In Indonesia, you will become a millionaire just by exchanging your local currency ha! You can do tours (for example Tegalallang Ricefields starting from $10 USD). You can also get massages for $4-5 USD per hour and rent a motorbike for $4-5 USD per day. Ubud is really great for budget travelers. 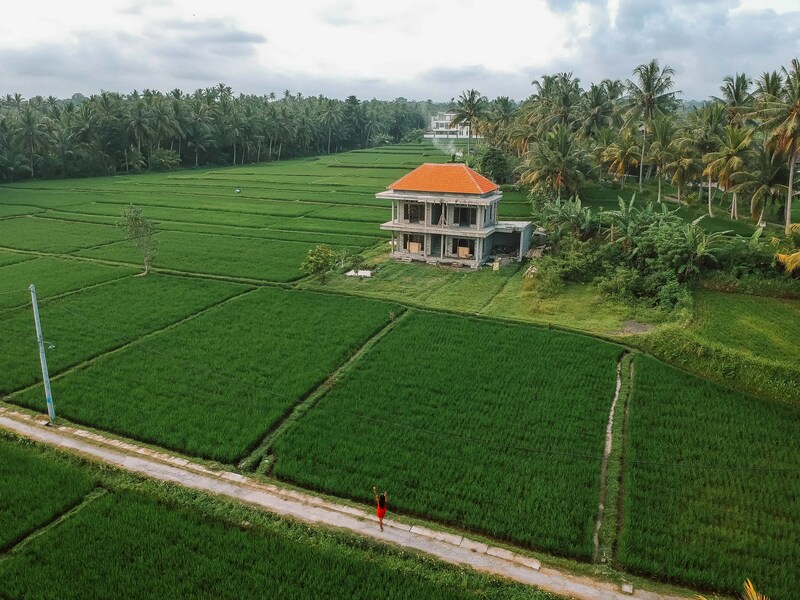 North Bali is famous because of the rice fields. In this part, there are many places to explore and you will absolutely love the ambiance. We recommend you go by motorbike so you will have more flexibility since there are many places to see. The most famous one is Tegalalang Rice Fields. 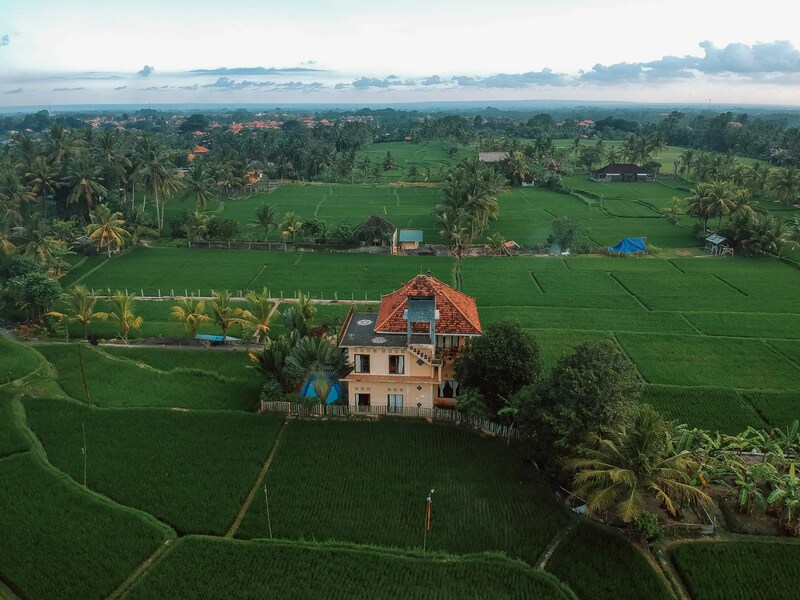 We had so much fun flying the drone in the rice fields. One of our favorite moments was taking really great pictures during sunset and sunrise. It’s important to learn about Hinduism culture. Ubud is full of temples, we liked observing the architectural style while walking around in Ubud. It’s great if you can have a guide or a local friend explain to you some information about their religion and culture. This was Rachel’s favorite activity in Bali. This traditional dance is very popular in Bali it involves acting and fire. They do it at night time and we saw a couple of show during our stay in Bali. It’s a perfect activity after having your dinner and it was really fun! As one of the best things to do in Ubud at night. You can go around Ubud by motorbike. There are waterfalls and rice fields to explore. You can rent a motorbike for $5 USD and spend the whole day around Bali. It’s very easy to drive around and sometimes the main problem is the heavy traffic. You can plan a trip with a few friends and going to non toursitic places in Ubud. 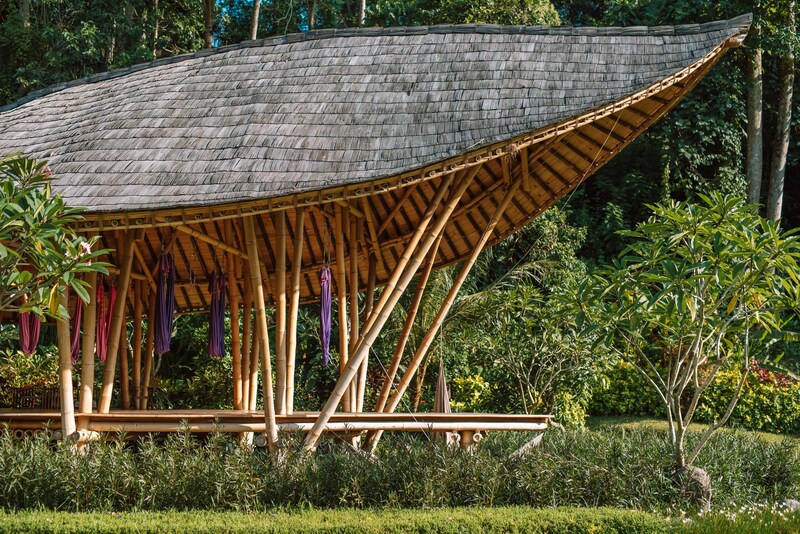 If you have time you can also try yoga classes for a few days, Ubud is one of the best places to do it. Waking up early in the morning and doing this activity will make you feel great for the rest of the day. There a few places where you can stay and do yoga at the same time. We chose Fivelements for our Spa Experience in Ubud. If you spend time in Ubud there are many day trips to do around Ubud. We had so much fun driving the ATV and buggy in North Bali. Two hours around amazing paths, rice fields, and even temples. Read this post to know our full adventure in ATV around Ubud. Rachel had so much fun in the local market, she bought the typical handmade bag called rattan from Ubud and also bought some dress for her collection. The local sellers were so friendly. You can get dresses starting from $10 USD and the typical and superfamous rattan bag starts at $15 USD depending on the size. Shopping is the favorite thing to do in Ubud for Rachel. We love trying out local food in countries that we visit. Most of the choices were Nasi Goreng (fried rice), Mee Goreng (fried noodles) and also Nasi Campur (rice mixed with vegetables). Prices starting from $1-2 USD. Bakso and Soto are great if you want to try out their local soup and Gado Gado if you like salad. Sate was Rachel’s favorite and she was eating all the time, she loved putting peanut sauce on it. All these local dishes were $1-2 USD. 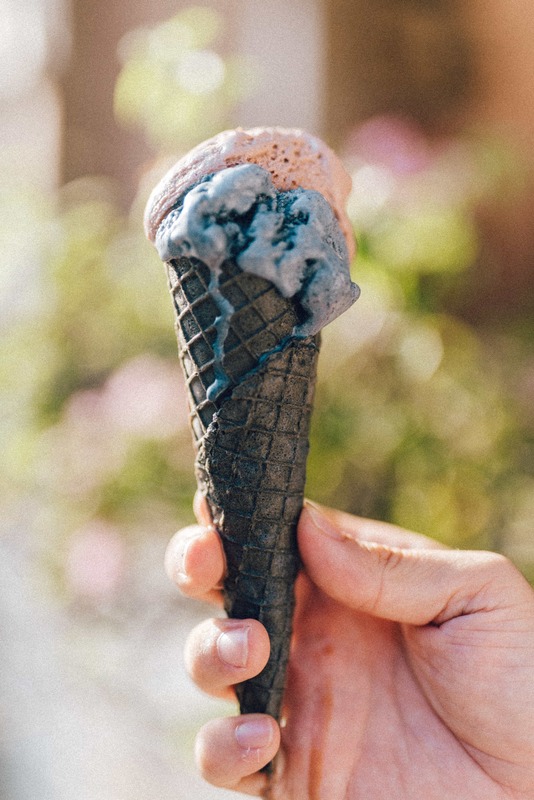 There are a few places where you can get gelato in Ubud. The temperature is always warm in Bali, it’s really good to try. There are many flavours, just go for your favorite one or try all of them ha! Prices starts from $2-3 USD. Have you ever heard about Luwak coffee? It comes from the poo of an asian palm civet and it’s one of the most delicious coffee in the world. If you’re an avid reader of our Blog, you’ve probably noticed Rachel really loves drinking coffee and she enjoyed Luwak coffee so much. As we are always busy working online, it’s always a great idea to go to a coffee shop. 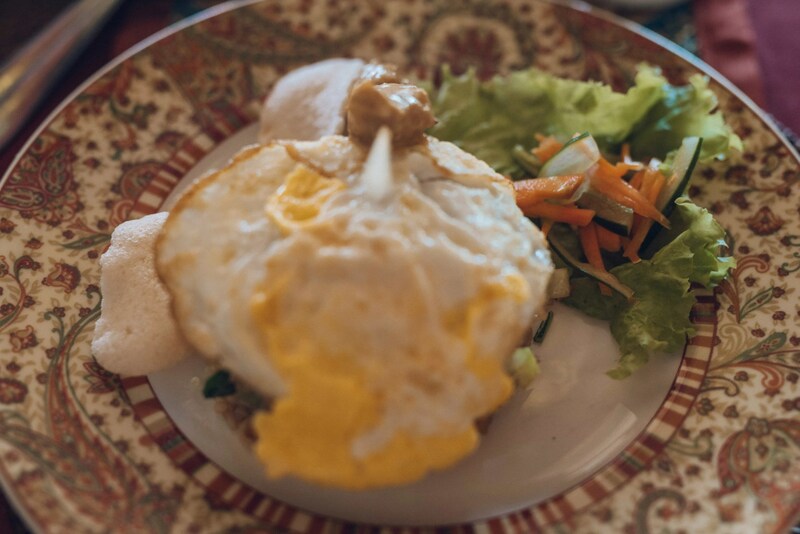 If you like Indonesian food you can learn how to cook your favorite dishes: satay, sambal or nasi goreng. It’s really fun plus you will enjoy a tasty lunch. If you can go to the market and buy the products, you will learn more about local culture. It’s nice to go in the local market with a local guide. 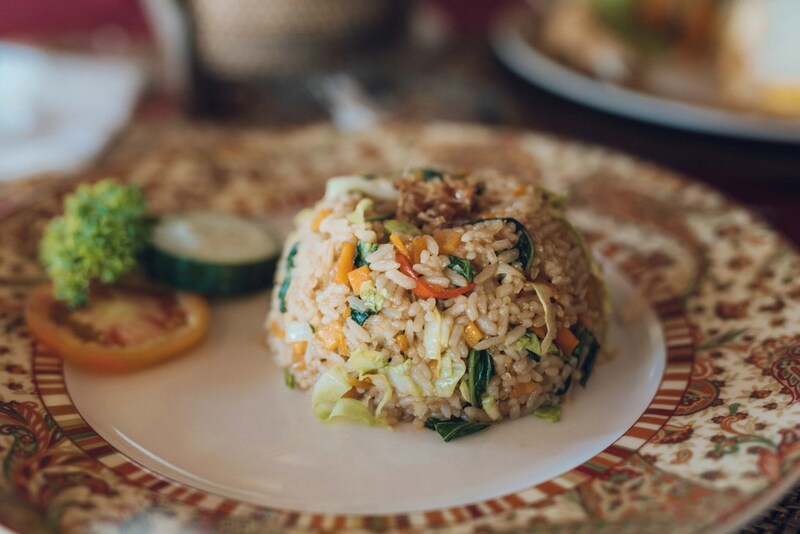 If you want to know more about taking a cooking class in Bali read our experience cooking satay and nasi goreng. 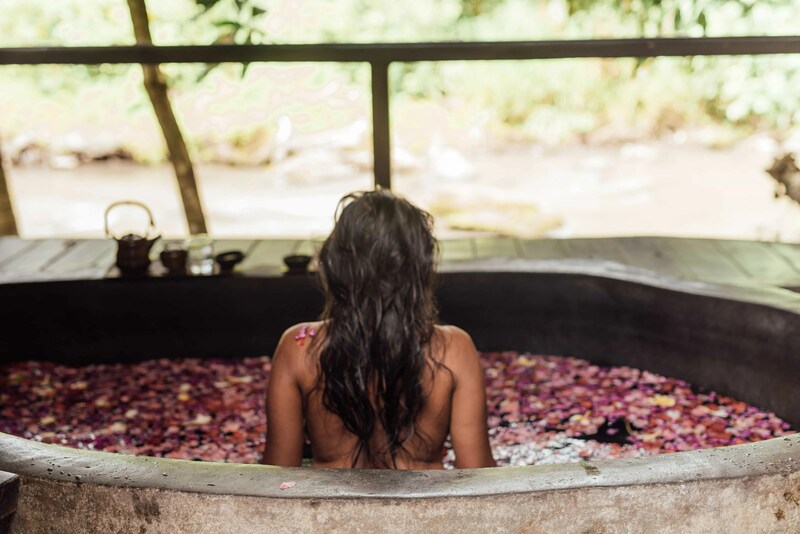 We had an amazing time staying at Solovillas in Ubud. We were close to the crowd in Ubud but at the same time, we had the opportunity to sleep in a beautiful and quiet place. Check out more pictures of our stay at Solovillas Bali in Ubud. And click here if you want to book for your stay in Bali. 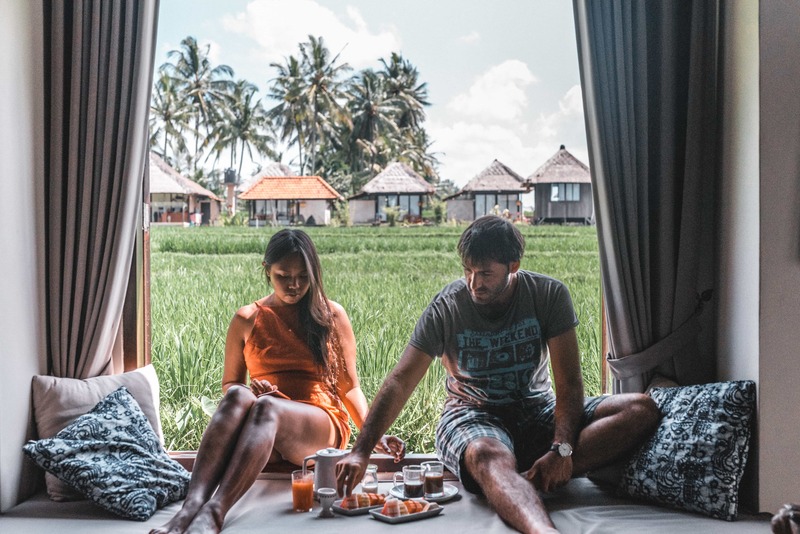 The breakfast is really great in Solovillas, the staff will even offer to bring your food to your room and have the opportunity to take pictures while enjoying the view from your window. Our Queen room was equipped with a microwave and a fridge. We also had a huge bathroom where they prepared this flower bath for Rachel. You can see after all these pictures why we love Solovillas Ubud so much! Beautiful sunrises, sunsets and nice walks in the ricefields, breakfast with a view! What are your favorite things to do in Ubud? Let us know in the comments below! Read here for more information for backpacking Bali! And if you want to visit more places after Ubud, we can recommend you to go to Gili Trawangan and relax on this island for a few days. Check this post to have full information on how to get there, what activities you can do and where to stay. And another place that we can recommend 100% to visit is Nusa Penida, click here to read our full guide to one of the most beautiful places that we have ever been. I have an Inquiry. May I know what is the best way to move from the airport to Ubud? Bluebird or Uber? I heard uber is cheap.Is this true?